Here is a must-see recipe for an incredible appetizer which uses bacon, cheese, and Pillsbury biscuits! Sounds mouth-watering already, right? 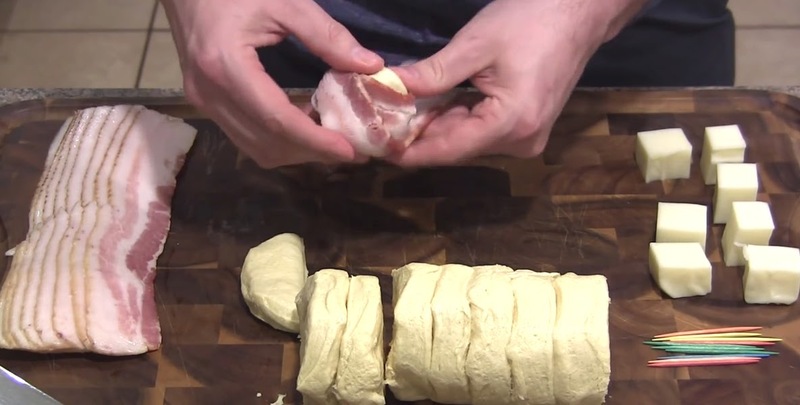 These “cheesy bacon bombs” will be the hit of any party or family gathering. They will easily upstage any other appetizer present and will probably be more memorable than main course dishes! They really are that good, as the author states they top his list for the most delicious food ever. The beauty of this recipe is that you can really make it your own. Add personal touches to it to make it even more tastier and unique. Watch how these cheesy bacon bombs turn out in the video and you will see how mouth-watering they really are.